Earn up to 9,192 reward points. The feel of a bass guitar with the expressiveness of an upright. Designed with the bass guitarist in mind, the WAV5c Omni Bass is the perfect choice for the player looking for a crossover instrument to the upright electric bass world. 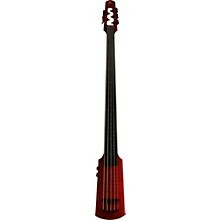 Built with the familiar 34-inch bass guitar scale, this instrument allows the feel of a regular bass guitar with the unique character and expressiveness of the upright bass. Equipped with the Polar Bridge Pickup System, this pickup allows for dual-mode operation with directional sensitivity, allows for a rich and expressive response to Arco (lateral) and Pizzicato (vertical) technique. The strings are easily driven, making it possible for the player with little bowing experianece to add a new dimension to their music. The WAV5c Omni can be played using any amplifier with a high impedance input, or with any other gear using a direct box. The pickup design of the WAV5c Omni eliminates the hassle and cost of using batteries. 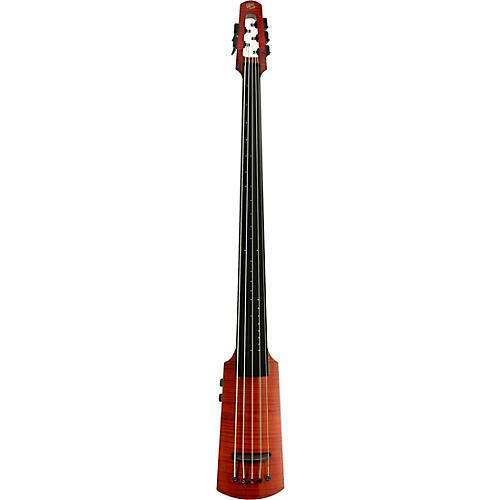 The asymmetrical fingerboard has a TransRadius profile design that allows for a left-hand feel which is familiar to the experienced bass guitarist. The radius at the nut is 9-1/4 inches, while radius of the fingerboard near the bridge is just 2 inches, which is large enough to maintain good string-to-string articulation with the bow or comfortable pizzicato (plucked/picked) playing. The fingerboard also features Coform technology, which utilizes the engineered pairing of maple and high-tech acrylic to produce an ebony-like appearance with outstanding feel and performance, while helping to sustain traditionally used hardwoods. Perform with the state of the art. Order today. Bridge Pickup: Polar directional piezo pickup system with dual-mode selectivity for vertical vibration (sustained plucked or picked sound, like electric bass guitar), or lateral vibration (for dynamic bowing and percussive plucked sound). Electronics and Controls: Passive circuit with high impedance output (no batteries required). Volume control, tone control (treble roll off) and two-way toggle swich to select between Arco and Pizzicato mode. Includes: Boomerang Strap System which has a pivoting friction hub that holds the instrument firmly in place close to the body. 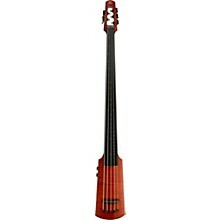 Attached with a guitar-style strap to its two support arms, the system allows the instrument to be moved into virtually any position as it is played. Padded gig bag with handle and adjustable strap; stand compartment, bow compartment (bow sold separately), and accessory compartment.